MALAYBALAY CITY ( 12 Apr) – At the strike of dawn, around 80 Tagolwanen women in Barangay Can-ayan here roused from their beds to make mattresses and baskets for the markets in Manila and the United States. They would work feverishly before the sun would rise over the mountains and before the “sodsod” grass, a type of cogon grass used as the main material for the mattresses and bags, would wilt in humidity making it difficult to weave. 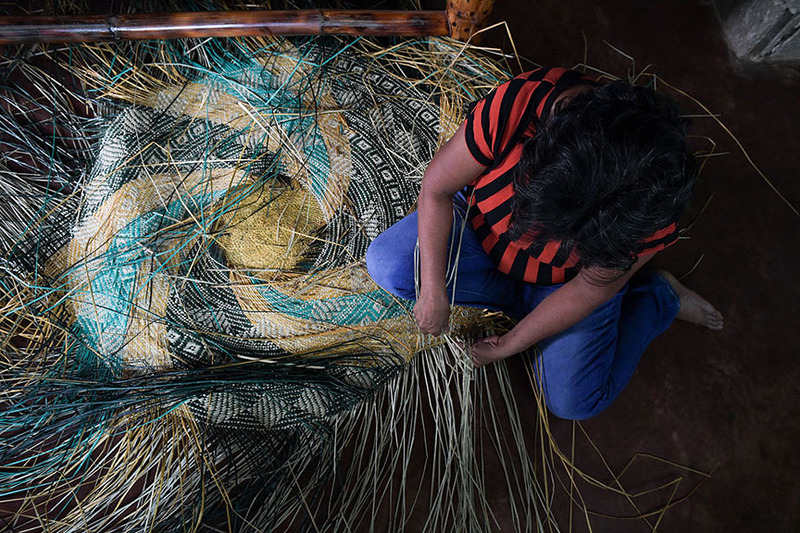 Each of the mattresses they make is distinct to the creative style of each of the weaver. Not one mattress is similar. “Each one of us learned the art of weaving from our mothers. 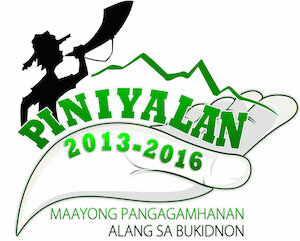 They too learned the art from our grandmothers,” 56-year-old Eileen Sumala said. 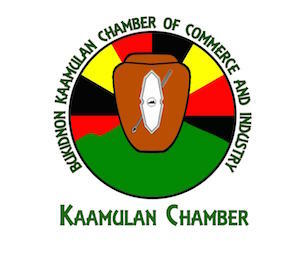 Sumala said the weaving of the banig, baskets, nets and containers is always part of the traditional art of the Bukidnon-Tagolwanen tribe. “Weaving is always part of me and now I am teaching my daughter how to weave,” said Sumala, who learned the craft from her mother when she was still 12 years old. Sumala said as she weaves each of the sodsod grasses into a banig, she would always think about the relationship of their tribe to nature. She said the mountain, land, star and flower designs they weave are part of the nature they have experienced. 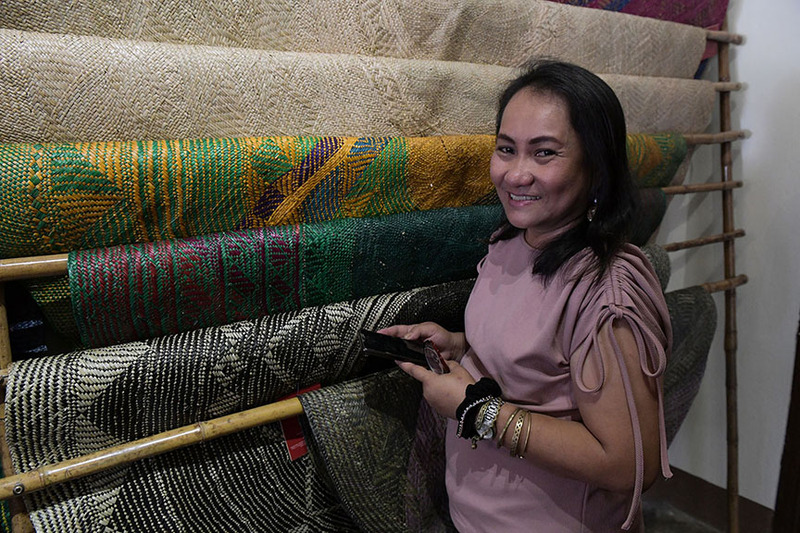 Sumala said weaving has been a tradition of the Bukidnon-Tagolwanen tribe but was nearly forgotten when prices of the mats dropped to almost nothing. “I used to walk seven kilometers to Malaybalay to sell my banigs and they only buy it cheap,” Sumala narrated. City folks, she lamented, buy their banigs as low as P300 or, worse, exchange them for a couple of sardine cans. With no clear incentive, many of the Tagolwanen women stopped making banigs and baskets, Sumala said. This was the situation that Lorielinda Bella Marte, a community organizer, found more than seven years ago. She said she was impressed by the mattress that was given to her as a wedding gift that she went looking who wove the beautiful banig. “I found Nang Eileen to be the only Tagolwanen weaver left. The rest have stopped to practice the tradecraft,” Marte said. She said she found from Sumala that the other weavers stopped because of low prices of their products. She thus designed a scheme so buyers would have to pay a higher price for the products made by the Tagolwanen women. 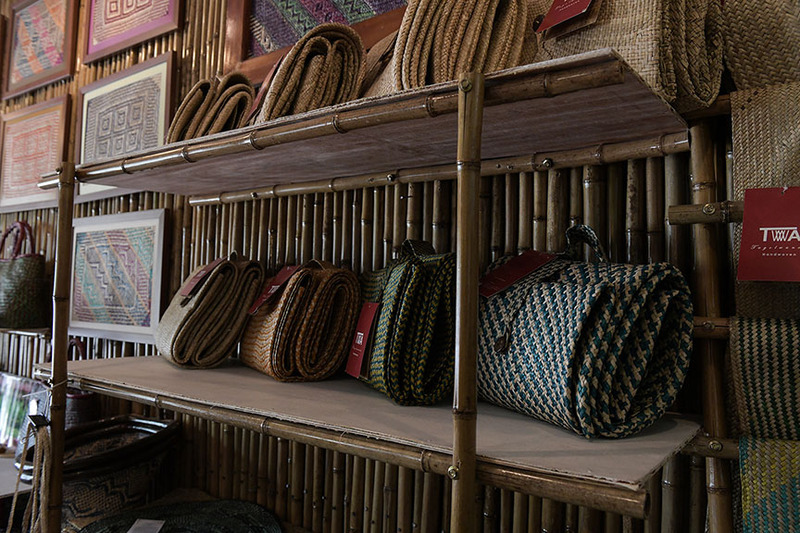 “What the buyers do not understand is that each of the product is unique and each has individual imprints of the weaver,” Marte said. Marte said she was able to convince the other weavers to go back working – from Sumala to now 80 weavers working. She said the women have organized themselves into an association – the Tagolwanen Women Weavers Association – to avail of government assistance. Marte said the women have wisely used social media to reach out to potential clients. “They now have a website, Facebook and Instagram accounts,” said Marte, who now chairs the association. Sumala said she is happy with how things turned out for them.